Composting, just like saving water with rain barrels, is a huge step forward for individuals as well as families who desire to live a more sustainable life. As much as Americans are thinking about recycling and sustainability these days, we are still producing too much waste due to personal consumption and population growth. 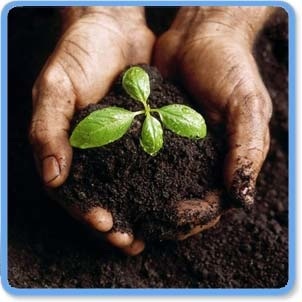 Composting is one of the most beneficial green activities that benefit both the consumer and society. As landfills reach capacity, tipping fees go through the roof and garbage incineration becomes a thing of the past, composting is a great way for individuals to help reduce county and municipal solid waste problems. Composting has been around since the caveman, it is mandated in Europe, but only in the last three years has seen accelerated acceptance in the US. It is even becoming written into municipal and state codes west of the Mississippi. Studies show two facts common to the waste streams in US landfills: that almost 30% of the waste stream in landfills is made up of yard and food wastes and almost 600 lbs. of garbage can be diverted from a landfill by a family that composts. Whether you live in a metropolis or small town USA,these numbers add up. The Rain Barrel Depot has done the research on the basics of composting and rules of thumb for composting are that you should use 1/3 green to 2/3 brown ingredients. Your compost should only be as wet as damp cloth as it cooks; too much water-cools the batch. Fresh grass clippings can be the death sentence for a batch of compost and should only be added after being allowed to dry for 3-4 days. Never add pet wastes and always put a couple of fresh handfuls of dirt into the composter on a weekly basis to add new microbes. The introduction of a composter accelerator might be considered as well. The lack of oxygen kills everything and the compost batch is no different. You must turn your compost on a weekly basis with a small garden tool, a wingding or if you have a rotating composter by rotating it several times. There are several types of composters: composting bins and roto composters or tumbling composters. Compost bins are simple fixed containers that require manual aeration with a composting tool (the wing ding) or any small garden tool. They are the less expensive composters, but you have to make sure that the batch is indeed turned over and aerated. Coffeegrounds, orange peels, and banana peels from the kitchen will work. Adding cooked food is not recommended as they attract rodents and these type composters do not reach high enough levels of heat to kill all the bacteria. Rotational or tumbling composters are the newest on the market and the most efficient at making sure your batch is aerated properly. They are basically large containers on stands that allow the compost to be turned over and over constantly adding oxygen to the batch. Here again, coffee grounds, orange peels, and banana peels from the kitchen will work. Again, adding cooked food is not recommended as they will attract rodents and these composters do not reach high enough levels of heat to kill all the bacteria.